The three Super Bowl food groups include the following: chips and dip, pizza and chicken wings. And to say we eat a lot of it would be an understatement. In 2017, an estimated 12.5 million pizzas were ordered on Super Bowl Sunday. As for wings, 1.33 billion chicken wings were eaten. This year’s no different. In fact, the National Chicken Council expects Americans to gobble down even more chicken wings during Super Bowl LIII weekend — a record-breaking 1.38 billion. This is up 2 percent from 2018, or 27 million more wings, according to NCC’s annual Wing Report, which was shared with SheKnows Wednesday. So, 1.38 billion is a pretty large number, probably too large a number to actually visualize. To help us wrap our heads around just how many wings that actually is, the National Chicken Council has come up with some clever comparisons to help us get a picture of just how many chicken wings we’re talking about here. NCC’s report says that equates to setting 640 wings on every seat in all 31 NFL stadiums. It’s also enough wings to circle the Earth three times. The wings weigh 6,600 times more than the combined weight of both the New England Patriots’ and Los Angeles Rams’ entire rosters. If laid end to end, the wings would stretch back and forth 28 times from Gillette Stadium in Foxborough, Massachusetts, to Los Angeles Memorial Coliseum. Image: Courtesy of the National Chicken Council. With so many wings consumed, it’s surprising the Super Bowl food staple doesn’t already have its own holiday. But NCC wants to change that. 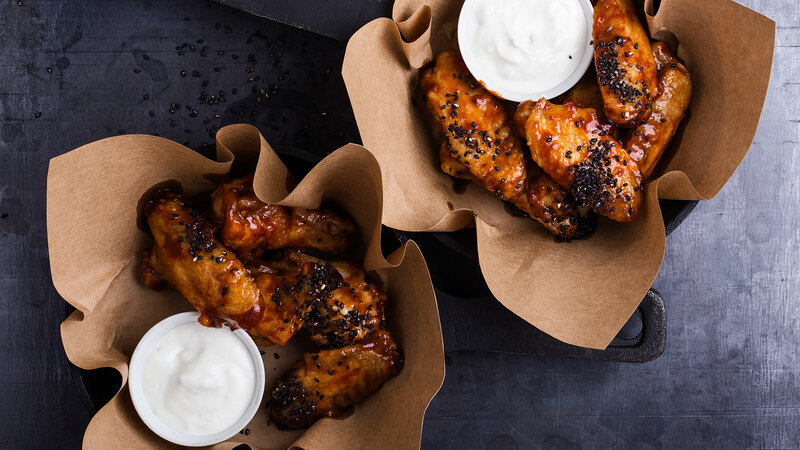 NCC has launched a petition to declare the Monday after the Super Bowl a federal holiday, National Chicken Wing Appreciation Day. Love the idea? Sign the petition.